Employees and customers can share and store documents necessary to complete transactions manually or automatically with APIs. Send receipts directly from the line to Virtual StrongBox. This tool is sticky, opening a personal data store via an API for customers to save their most sensitive documents with you. Many of our clients have found their marketing departments need a way to collaboratively share documents with colleagues and vendors. When dealing with customer information and heavy files, they need a secure and easy method to share files. Have a space where advisors can collaborate with their wealth management customers, storing essential documents long term and securely sharing files. We have over 20 APIs that allow organization to improve workflows. 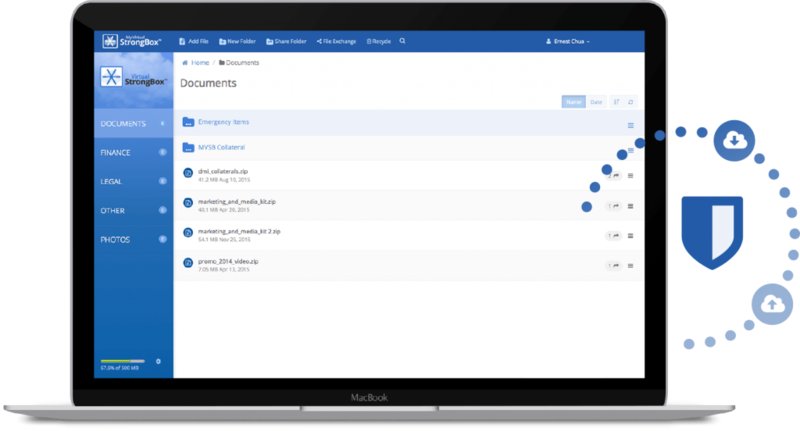 Drop documents directly from one platform into a users’ StrongBox, making things like sharing closing packages and electronic receipts as simple as checking a box and pressing send. Like a virtual FedEx man at your customers’ door, request a signature before a shared document can be accessed. The solution can be used to store any documents shared between you and customers long term. 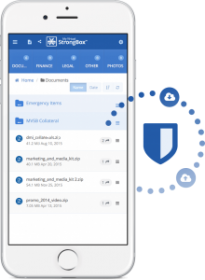 With 6 security patents and Total Information Privacy & Protection, users can rely on this platform to back up any sensitive digital documents containing Personally Identifiable Information. Save time and money by sharing documents with state examiners. Our collaborative share link allows the organization to send and receive documents through email. Organizations can also set up temporary Virtual StrongBox for examiners so they can keep the documents securely for as long as they see fit. If Virtual StrongBox is stored behind Single Sign On, customers can organize their will and other essential documents so their executors or beneficiaries will find their digital documents in one place. This add-on form tool allows organizations to collect additional information, including forms that need electronic signatures, in the same platform where they will be collecting documentation. 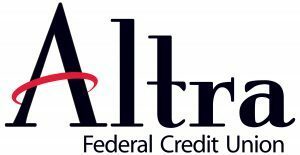 Join the hundreds of financial institutions benefiting from Virtual StrongBox today. Select the version of Virtual StrongBox that fits your strategy and budget. We understand your business needs may not be the same as the company next door. That is why we have provided different options to fit your specific strategy.